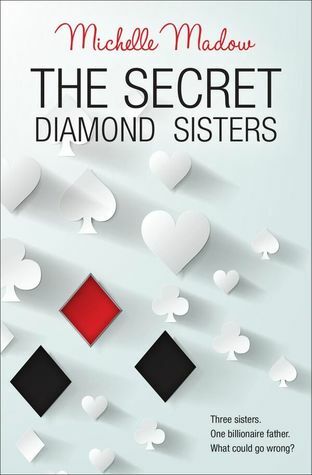 Happy 1 Year Anniversary The Secret Diamond Sisters by Michelle Madow! 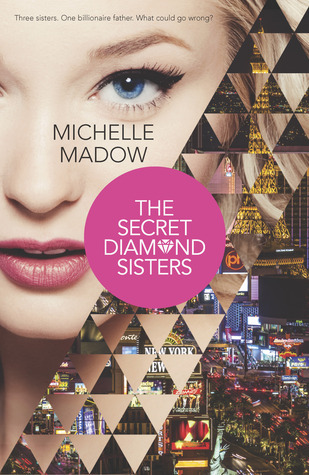 Happy 1 Year Anniversary to The Secret Diamond Sister's series by Michelle Madow! Being apart of street team, I feel like it's my duty to bring this news to all you guys and celebrating this monumental milestone for her! If you haven't read the books yet, well what are you waiting for! The three sisters grew up not knowing their father and not quite catching a break. But it looks like their luck is about to change when they find out the secret identity of their long-lost dad- a billionaire penthouse hotel suite. Suddenly the Strip's most exclusive clubs are all-access, and with an unlimited credit card each, it should be easier than ever to fit right in. But in a town full of secrets and illusion, fitting in is nothing compared to finding out the truth about their past. There is a second book in the series called Diamonds in the Rough! So go check it out if you didn't know there was a sequel for the first book! This cover is so stunning and I really much rather prefer this one because of the simplicity and elegance! IT'S SO PRETTY! Something that would look nice on anyone's shelf and omggerdd. I can't even! Have you read this series yet? Are you excited to read/or start the series? I NEED to read this series!! I actually had the pleasure of meeting the author and she signed my book :D I need to read it so I can read the sequel I have too. I don't read a lot of contemporary but she actually read an excerpt out loud which is what convinced me to read it. plus, she's super super nice and I really connected with her. Glad to hear you recommend the series too!